The gym can be a scary place, full of great big, funny looking machines that look like RoboCop! Not all of us have time, or want to train in this environment. The truth is although going to the gym has it’s advantages: more equipment, facilities and social interaction, it also has it’s trade off’s like loads of sweaty blokes and nosey people staring at you! Do you really have to go to the gym to get results or can you achieve the same outcome working out from home? 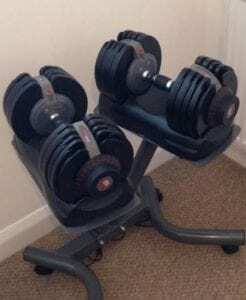 Dumbbells are an absolute must in your home gym! The only problem is the ones we typically buy are usually the screw ones! You know the ones where it takes you 5 minutes to unscrew the weights, leaving you utterly frustrated, taking too long between sets and to top it all of…. a terrible wrist ache! Well the adjustable dumbbells I use go up to 32.5kg. They take up minimal space (see pic) and you can switch the weight at the flick of a button. Whoever designed these deserves a medal! 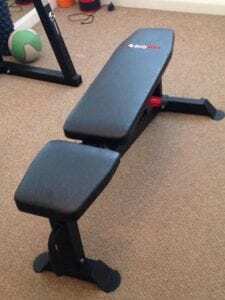 An adjustable weights bench will allow you to train multiple muscles like the; chest, back, arms, shoulders and abdominal muscles. I’d recommend buying a bench that’s adjustable. A bench which allows you to change the position to an incline (up), a decline (down) and flat (see pic). That way you have access to more exercises. You can also hit your muscles from many different angles this way, adding plenty of muscle stimulation and variety to your workouts. Squats are the king of all exercises! If you do them properly and regularly enough there’s nothing that will transform your physique quicker! An adjustable squat rack will allow you to perform the bread and butter exercises which are absolutely imperative to any great program. Exercises like: squats, military press and the bench press. A medicine ball is particularly good for training the full body and stomach muscles. I mean who doesn’t want a washboard pair of abs and stronger core? A strong core will prevent lower back pain, and improve the shape of your waist. It will also help you progress in all other exercises that you do. 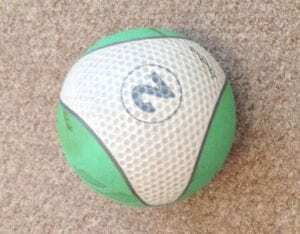 Try these 25 Must Try Medicine Ball Exercises next time you workout out in your home gym. 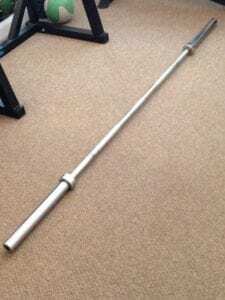 An excellent piece of kit to help you improve core strength. 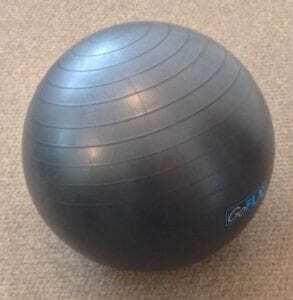 I like to use the fitness ball to mix up my workouts and improve stability in weaker muscles. You can pick up a fitness ball for next to nothing, here’s one I recommend and it’s only £7.99! Don’t buy cheap equipment – cutting corners by buying cheap equipment may save you some money in the short term, but cheap equipment is a false sense of economy. Before you know it you’ve got to either replace it or you come to the realisation that what you purchased isn’t very good! You don’t have to buy commercial gym equipment, but sturdy, and good quality is an absolute must. I like to buy my equipment from Powerhouse Fitness for those reasons I just mentioned. 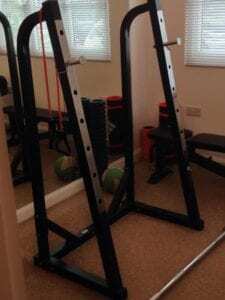 Learn how to train – It’s no good having a really cool home gym unless you know what your doing! If your unsure i’d recommending hiring a personal trainer to come to your home and train you. You’ll be amazed at how much you can learn from a couple of personal training sessions. I’d also encourage you to check out my blog. There’s over 250 FREE articles to help you on your fitness journey. You can also find plenty of free workouts on my Youtube channel.